Come! Let’s Celebrate the Season of Colours!! Home » Blog » Come! Let’s Celebrate the Season of Colours!! The festival of fun and colours beckons all and sundry to drench in the spirit of Holi and soak in its enjoyment. Such is the excitement of this festival that a lot of Holi – Milan parties are hosted by corporate houses for their clients or organised independently by event management companies to celebrate. It’s to meet and greet with delightful experience of an all – out paint war. It’s not just chasing or being chased for a splash of colours or splattering of water balloons. It’s an ‘all – colours – down’ masti with madness and real freaking fun. Anyone and everyone is fair game in Holi. If you are attending one of Holi – Milan parties, you know you are going to enjoy the company of your friends and also of those who you have never met before: such is the camaraderie of this festival. A couple of purely happy hours striking on the borderline of craziness and an amazing intoxication of fun and frolic; who would want to miss out on that? Several Holi Milan parties are planned by corporate houses to form a bonding with their clients or channel partners. It becomes an occasion to celebrate while getting into some informal discussion that is essential for any business environment. Holi theme parties range from being dressed to suit the occasion with funky caps and other props. Several get together use flower petals instead of colours to shower each other with. It saves hassles from washing off the stain of colours without compromising on the fun spirit of the festival. Card games and various other entertainments provide a vibrant atmosphere in such parties. It’s the night of dhol, nagada, dance and merry – making. Novel ideas by event management companies help to make Holi – Milan even more memorable. The decor is of paramount importance because it should reflect the ethos of the occasion. Food stalls range from regular ones to the ones that offer traditional culinary like gujiyas, sweets, dahi – wadas and beverages from bhang to thandai. 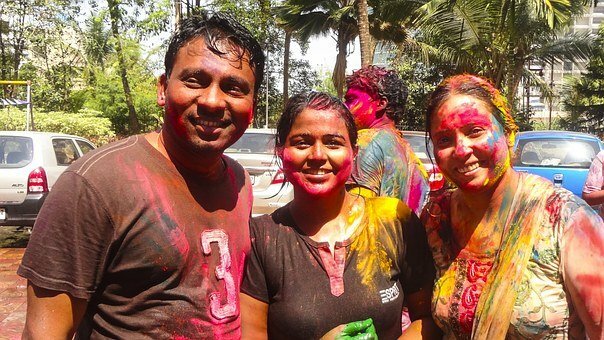 Just remember Holi is the fun platform where you can actually develop your business relationships without the tense and stressful atmosphere. Make the most of it. It’s time to pick up your opportunity when it’s knocking at your door with handful of colours. The boisterous and colourful festival is round the corner for us to get into the infectious flavour of joy, fun and masti. If you wish to host or be a part of such an event, all you have to do is call Global Nexus – an event planning company in Delhi NCR .